​Wasaga Beach is not only the longest freshwater beach in the world with 14 km of safe, sandy shore, but the sunsets there are breathtaking. This natural area of ​​6.8 hectares protects wildlife habitat and nesting shorebirds, including the Piping Plover, which is endangered. 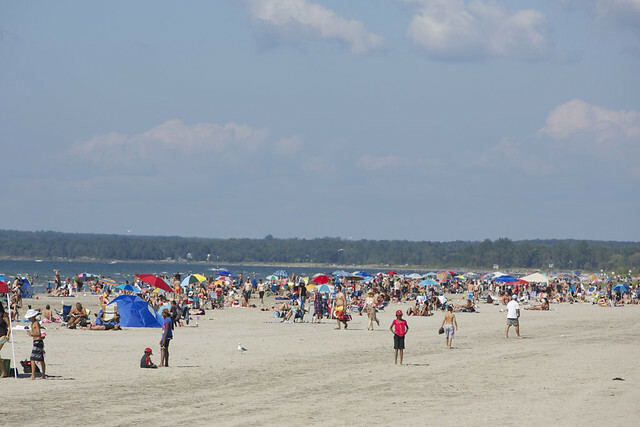 The Wasaga Beach visitor center was officially opened in 2012 to commemorate the bicentennial of the War of 1812 and highlight the natural and cultural riches of the Wasaga Beach area. The visitor center is the gateway to the Nancy Island Historic Site which features a theater, a museum and a replica of a Great Lakes lighthouse. Wasaga Nordic Centre and Trail (summer) - Starting points for hiking trails over 50 km, including the Pine Trail (to do with a trail guide) and sections of the Ganaraska Trail. Wasaga Nordic Centre and Trail (in winter) - Opened in winter for cross-country skiing, ski skating and snowshoeing. Snacks, selected merchandise rental service and lessons are offered.